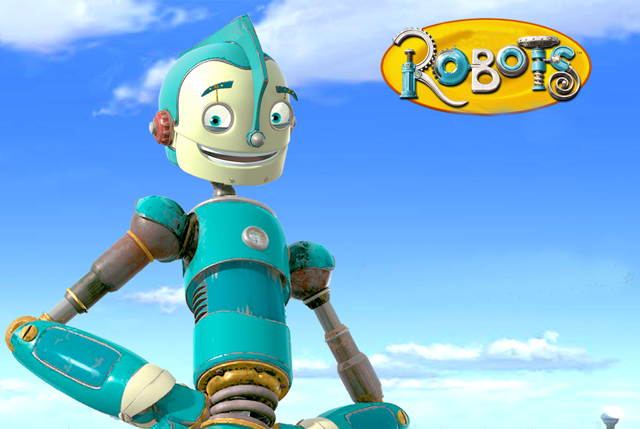 Before you ask: yes, Robots is a childrens film - but for me it has such a depth of meaning. It is a film set in a world composed entirely of robots. As a robot ages they have two choices to stay alive. Either they buy spare parts to repair the parts that break, or they buy upgrades to improve themselves. The poor robots do the former, while the rich robots do the latter. If a robot cannot get spare parts or upgrade they are essentially killed (melted down and turned into something else). The backdrop of the story is comprised of the major corporation (Bigweld Industries) ceasing to sell spare parts, hoping to completely destroy the lower class, seen as a blight on the beautiful shininess of society.